Kurt Moll was, among his generation, always the most noble and subtle of basses, and simultaneously a singer with an inimitable and rich timbre. Even when playing the rumbustious, insolent Ochs in Der Rosenkavalier – especially under the baton of Carlos Kleiber at the Bavarian State Opera – he exuded the dignity of the (landed) gentry, and when portraying the no less coarse Osmin in Mozart’s Entführung he always brought out the vulnerability of that character. Similarly, according to Professor Joachim Kaiser, Moll’s reading of Hunding in Valkyrie at the Bavarian State Opera in the 1970s was so impressive that the music critic could never quite understand why Sieglinde throws herself at Siegmund rather than staying with this attractive, gallant man. 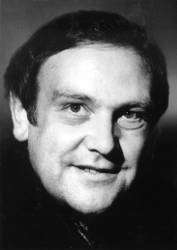 Kurt Moll was born in Buir, close to Cologne, in 1938 and remained true to the German repertoire – and especially to Wagner – his entire life. In 1981 he recorded a lovely selection of this repertoire for the Orfeo label (which explains why he sings Leporello’s catalogue aria in German and not in the original Italian): the recording also includes Daland (The Flying Dutchman), Kasper from Der Freischütz and Abul Hassan from Peter Cornelius’s The Barber of Bagdad, as well as Lortzing’s Tsar and Carpenter and The Armourer. And of course he sings – as well as employing his wonderfully sonorous, virile speaking voice – as Rocco in the legendary premiere of Beethoven’s Fidelio under Karl Böhm directed by Götz Friedrich at the Bavarian State Opera in 1978; the recording was released on CD by Orfeo in 2001. In 1973 Moll gave an awesome reading of the Commendatore in the Munich staging of Don Giovanni and in 1983 – again under Wolfgang Sawallisch – he played a prominent role in Wagner’s early work Die Feen, followed two years later by Dandau, the remorseless chief Brahmin, in the first-ever studio recording of Louis Spohr’s Jessonda. After studying at Cologne’s College of Music, Kurt Moll’s first engagements took him to Aachen, Mainz and Wuppertal. His international breakthrough came in 1970 at the Salzburg Festival as Sarastro in . Moll made his debut at the Bavarian State Opera in 1971 when he understudied for . He gave all the Wagner roles of his voice type in Munich, though he sang many of them in Hamburg and Vienna too: King Marke, Landgrave Hermann, Gurnemanz, Daland. He also sang roles like Sir Morosus (), Seneca in Monteverdi’s , Father Guardino (), Sparafucile (), Gremin () and even Schigolch (). Moll was also a great singer of Lieder. This is documented by his recording of Schubert’s Winterreise as well as an Orfeo album of 1981 with selected Schubert Lieder and two CDs of Ballads by Carl Loewe released in 1996. On July 31, 2006, the then 68-year-old Kurt Moll took his leave of his Munich audience as the Night Watchman in The Mastersingers of Nuremberg. He can be heard in the same role at the age of 30 in a live recording from Bayreuth on ORFEO, where he had made his debut one year earlier. Kurt Moll died on March 5, 2017, after a long and serious illness, at the age of 78.